AMIB and Epimed Solutions have teamed up to create the National Intensive Care Register. The present project ,called Brazilian ICUs, aims to characterize the epidemiologic profile of Brazilian ICUs and share useful information to guide health policies and strategies to improve the care of critically ill patients in Brazil. 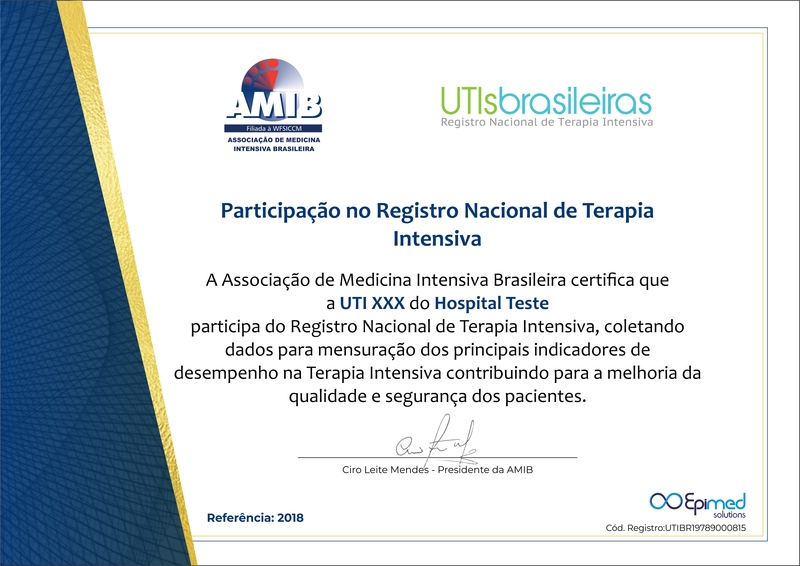 In addition, the project aims to encourage the use of quality indicators and performance in the management of Brazilian ICUs and thereby improve the quality of intensive care and increase patient safety in Brazil. Similar initiatives in other countries such as the UK (ICNARC), Australia and New Zealand (ANZICS-CORE), were essential for improving the quality and safety of critically ill patients and are now an important basis for projects that are looking for improvement of the the efficiency of ICU and clinical research. It will be granted to ICUs that contribute with their data to the National intensive care Register continuously and properly. 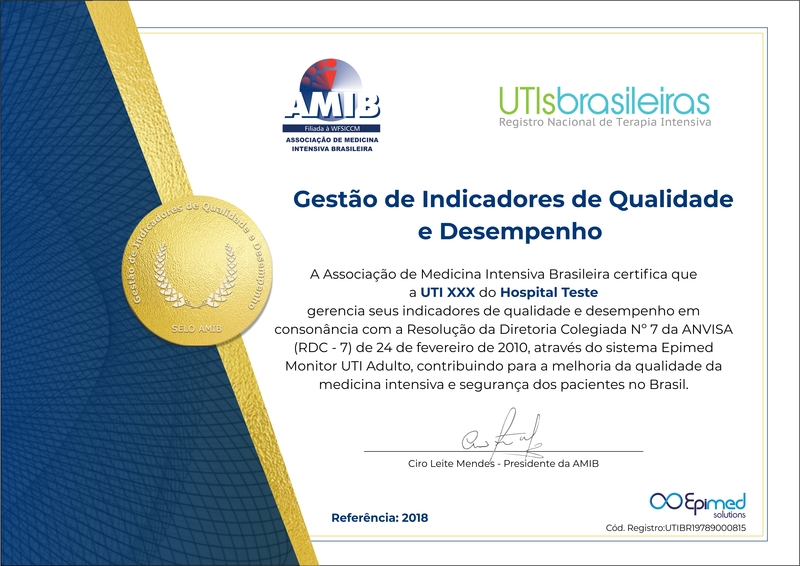 It will be awarded to the ICU which manages its quality and performance indicators in line with the Collegiate Board Resolution No 7 of ANVISA (RDC-7) February 24, 2010, through Epimed Monitor General ICU system, contributing to improve quality in critical care medicine and patient safety in Brazil.